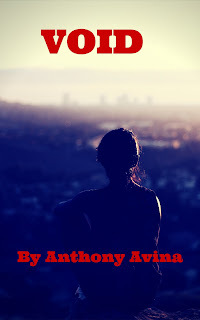 Author Anthony Avina brings to life his first ever romantic/drama story in his new novella, VOID. VOID follows six friends living in Los Angeles, CA. Each of these friends finds themselves struggling with some personal issues of some sort. This novella is written as a contemporary romance drama mixed in with a play setup, taking place over the course of three acts that delivers character build-up and drama. Exploring themes such as sexual identity, loss, marriage, parenting, abuse and more, VOID is a modern tale of pain and despair, and the steps one group of friends will take to overcome that despair and get to a place of hope and love. Through their experiences, these friends will find love. Their friendships will be tested, with some becoming stronger, and others falling short. Touching on very real experiences and problems in life, VOID is the perfect read for both romantics and those interested in reading about the human condition. 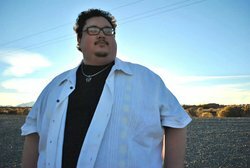 Author Anthony Avina is the fusion of intense and visual-inducing horror, optimism and hopeful enthusiasm. As an indie author who has spent the last four years creating unique and original horror stories that highlight the fact that both good and evil can reside in anyone or anything, the creative horror writer hopes to craft entertaining tales that take the reader into unimaginable worlds. With three successful series and a string of popular stand-alone novels and novellas, author Anthony Avina is a must watch indie author that is always working on the next great story to share with the world. Anthony Avina’s latest novella, VOID, follows six friends who each must overcome an overwhelming problem. This novella is a romance/drama, and focuses on themes such as love, friendship, sexuality, marriage, abuse, romance and more. It is now available for preorder on Amazon Kindle formats, and can be found on Amazon now! Anthony Avina is currently in the process of editing his next great novel, tentatively titled Identity, as well as a work in progress novel/novella called Odd Discoveries, the first in a planned science fiction/horror series. Tomorrow kicks off my annual Halloween Horror Author Countdown. Come join us as we explore the realms of small press and indie horror, you never know you might find your next great read, or you could win a horror library guaranteed to make any rabid fan envious.